V Findlay Wolfe BLOG: QuiltCon is coming soon! YAY! 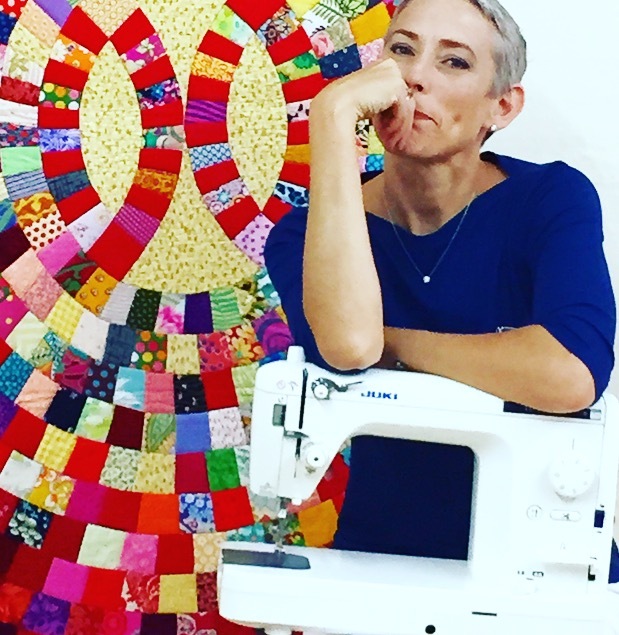 QuiltCon is coming soon! YAY! 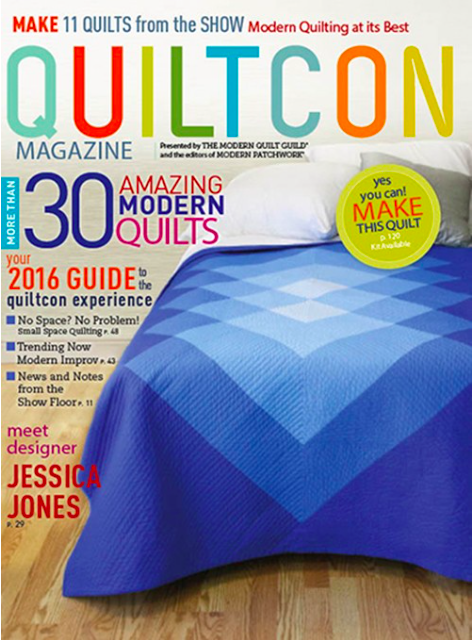 Happy to be included in this issue of QuiltCon magazine! My quilt Pattern Play is also Kit by this issue! Visit Interweave for more info. 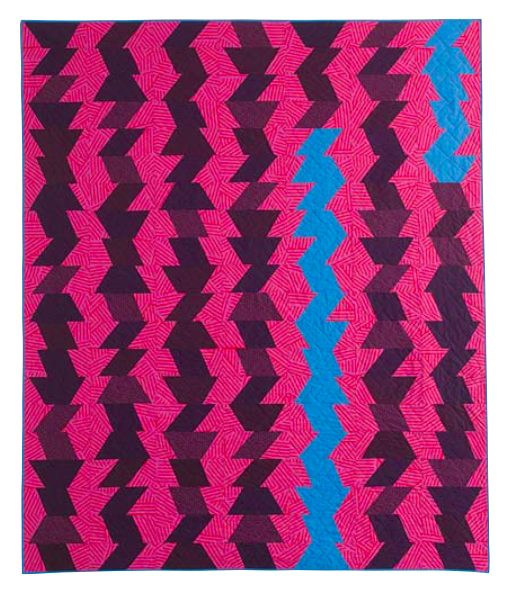 My Quilt Pattern Play will be hanging at QuiltCon, along with other quilts from the issue! It's is ONE FUN QUILT TO MAKE! Improv without being improv! This gives you flexibility to make your own unique quilt! You can't make a mistake with it. Go grab the magazine and check it out! FUN! Seems like yesterday, Double Edged Love had it's day to shine, as Best in Show! That was such a treat... That quilt really was a change in my normal process... and a very exciting time for me, creatively... Aha moments, and creative connections, made this a very healing quilt for me. I feel very blessed. This quilt is now going to it's forever home... A new owner gets to enjoy it! I'm happy to part ways with it, and know that it will be cared for, for years to come. 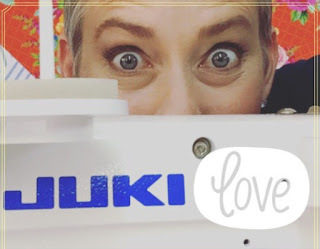 Do I have a quilt in QuiltCon this year? I'll show you my quilt I entered this year for QuiltCon, just before I fly off to Pasadena, Wednesday. I do not enter many shows... I enter Houston International, and Quiltcon. 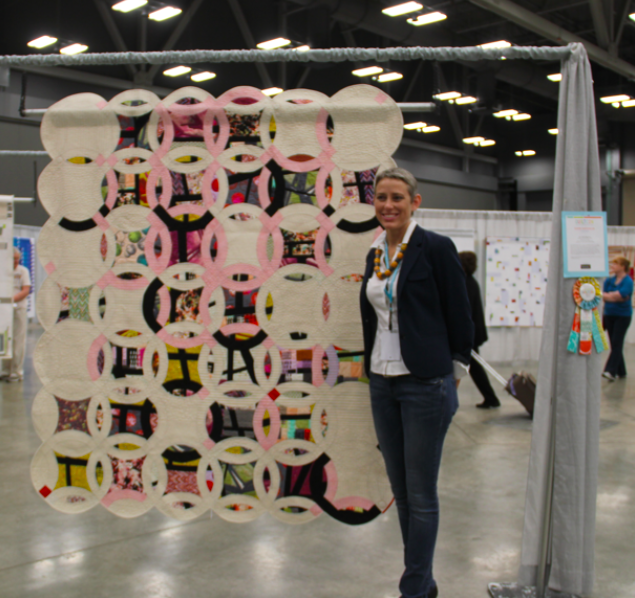 What I love about QuiltCon, is, that it pushed me outside my own box. I am constantly thinking, how can I change up my own process and make something that I might not have done. I think it is important for artists to keep pushing the envelope, and yes, I mean you, as an artist.. I am so pleased QuiltCon gives me that place to push my own limits. Thursday: I'm teaching all day. Pies and Points Class. See me at QuiltCon? Let's take a picture! I'll give you a "special" button if you come take a picture with me! Because I can't wait to meet you and see old friends too! 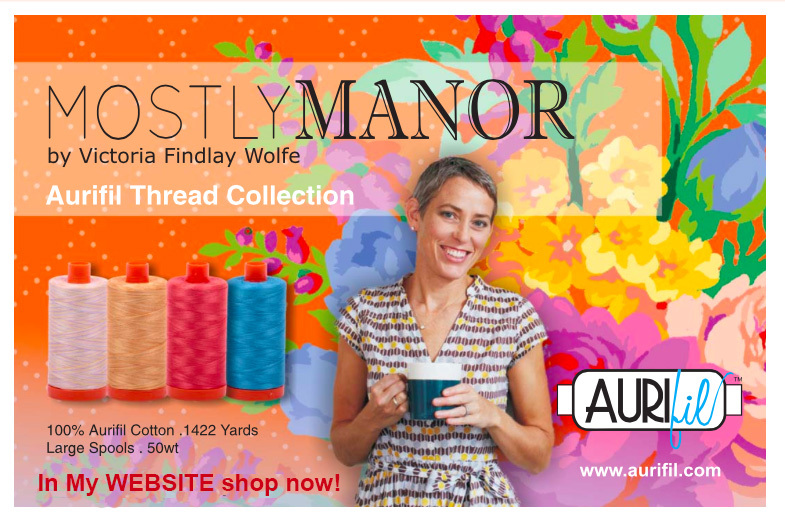 My NEW Aurifil threads are now available in my website shop! 50 wt set of Four luscious spools of my favorite threads! Will see you in class in Friday! I am so excited to see all the fabulous quilts and meet friends. Will miss QuiltCon this year (too soon after the 4-month move Hawaii to Idaho to Olympia, WA). Maybe next year or, more likely, 2018. Look forward to seeing all the QC pics that will take over social media next weekend :-). Can't make it but I too look forward to seeing the QC pics. Thanks Victoria for your beautiful designs and for keeping it real. I wish I could see you there but I can't. Maybe next year.